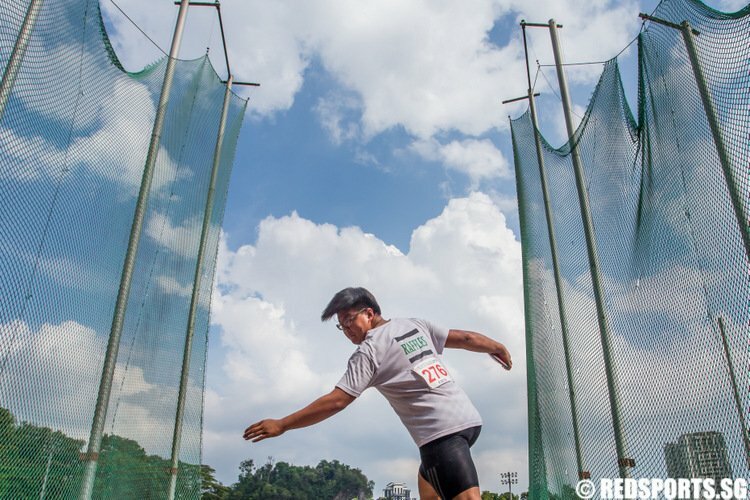 Story and photos by Jared Khoo/Red Sports. 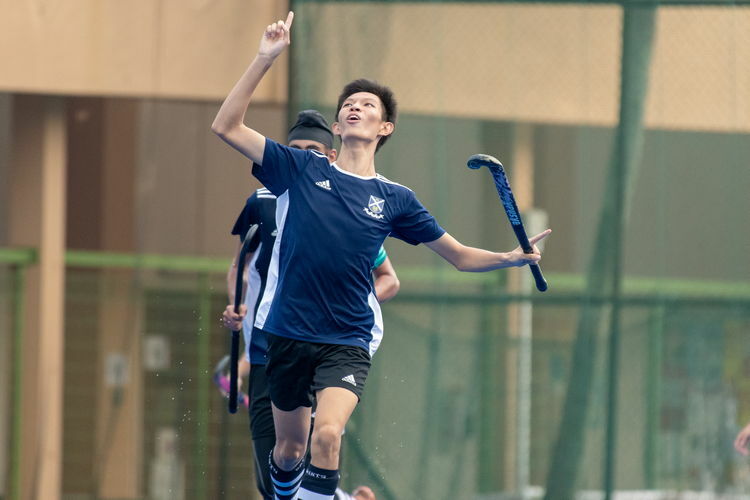 Sengkang Hockey Pitch, Monday, 8 April, 2019 — After inclement weather forced officials to postpone the game from Friday afternoon to Monday morning, Raffles Institution (RI) defeated St Andrew’s Junior College (SAJC) 2-0. 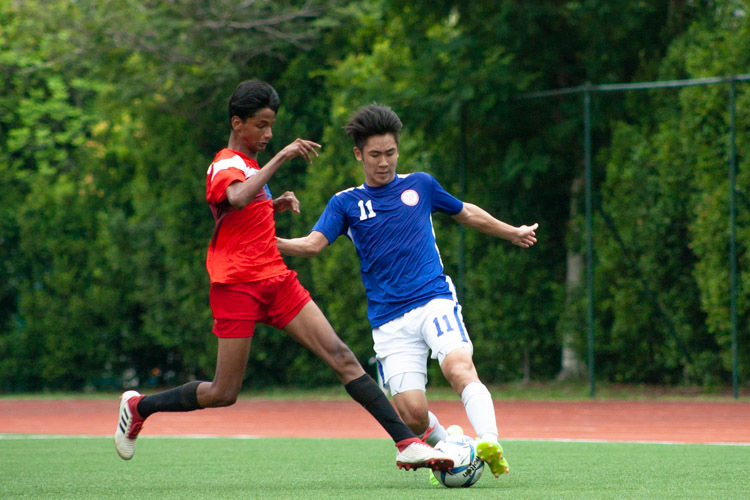 Raffles’ superior possession and control of the ball, combined with their aggressive tactics and shifting formations, limited the majority of the action to the Saints’ half of the field. During the first quarter played on Friday, before the lighting warning system was engaged, both teams traded both the ball and strategic pokes at the other’s defense. 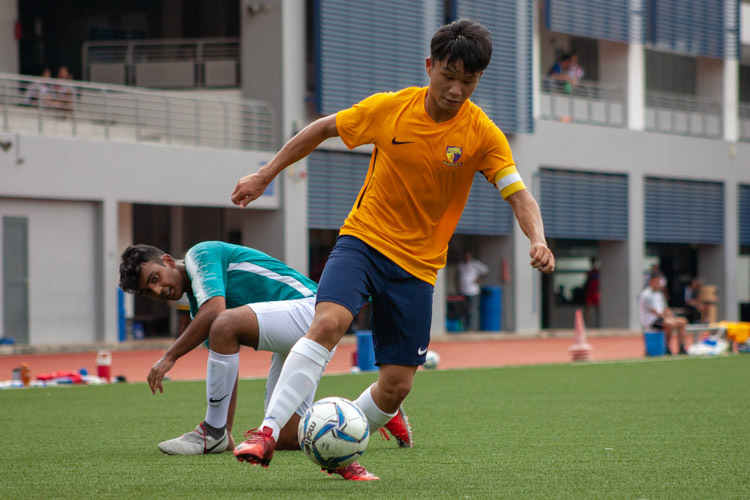 Ryu Tanaka (SAJC #7) managed to dribble the ball to the Raffles semi-circle, where a defense infringement earned SAJC a short corner. The Saints did not manage to capitalise on this opportunity and did not score a goal. The second quarter, played on Monday morning, went by with no notable plays. With neither side refusing to budge, the first half ended 0-0. 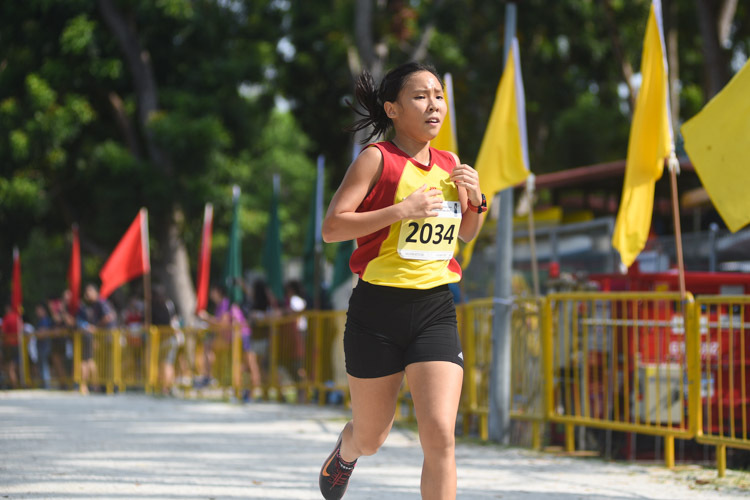 At the whistle, the second half commenced. Mistakes made by the Saints defense granted Raffles more short corners. 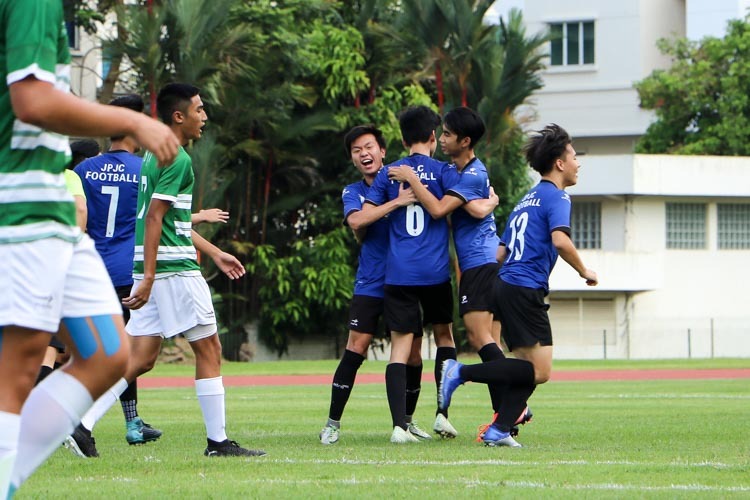 Finally, after 15 minutes of play in the second half, Raffles scored a goal off a short corner. 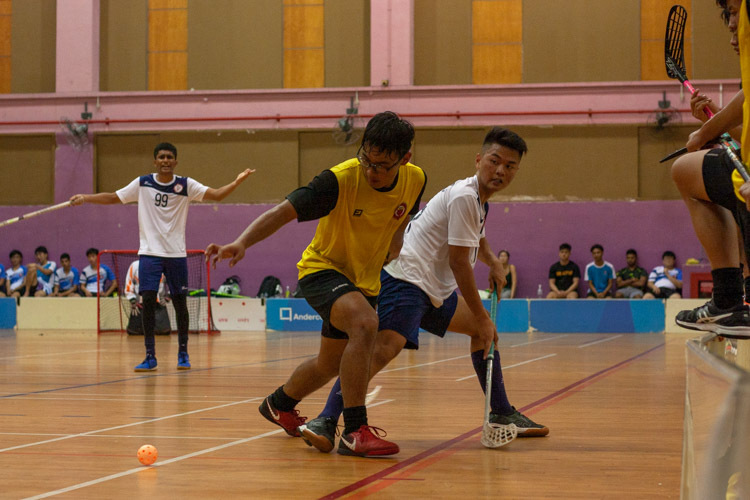 Muhammad Haikel B Yasin (RI #66), on the Saints goal line, passed the ball to Alton Chua (RI #10), who stopped the ball just outside the Saints semi-circle. Akash Chandra (RI #82) took it from there to put the ball inside the Saints goal. 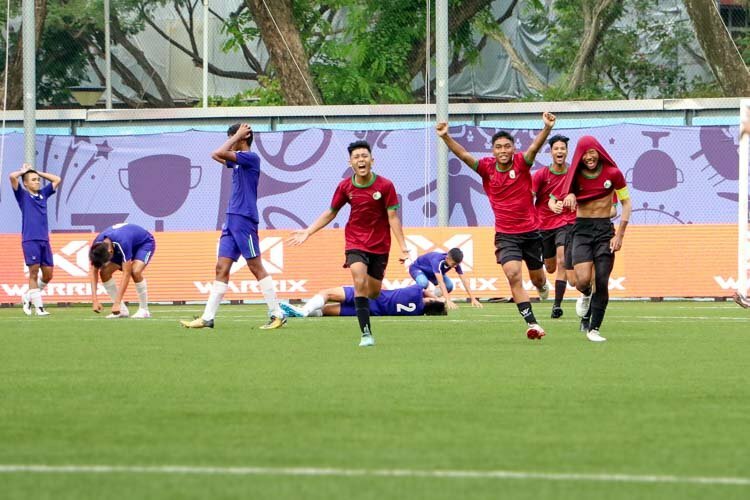 Less than a minute later, Akash converted another short corner into a point in Raffles’ favor, smacking the ball past the four Saints defenders and keeper, where it impacted the back of the goal with a loud thud. 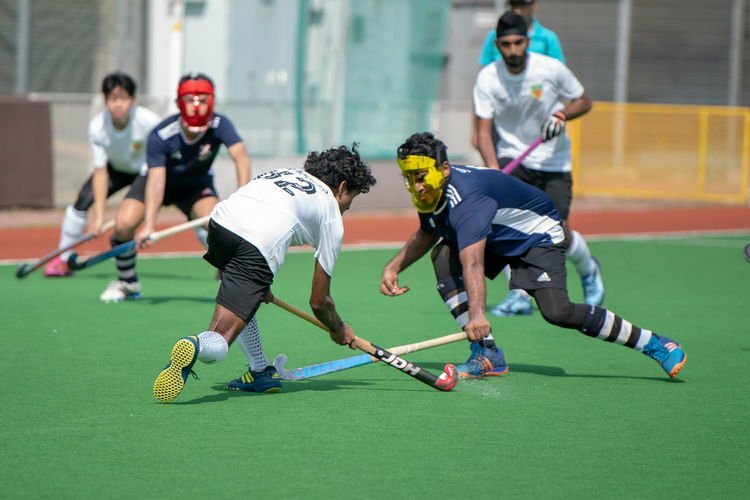 Akash, who scored both of Raffles’ goals, is an accomplished hockey player. 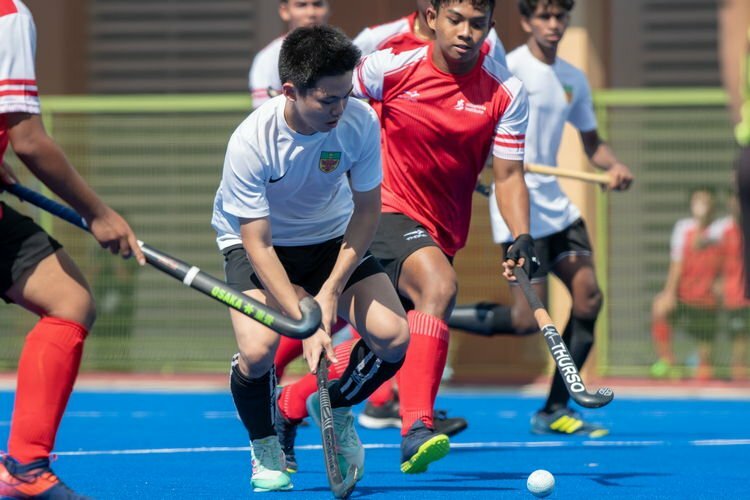 He earned a bronze medal at the 2017 SEA Games as part of the Field Hockey Men’s Team representing Singapore and also competed in the National Junior League Division 1 Boys’ earlier this year. “Akash is an influential player to the team. He controls the tempo and pace of our game. 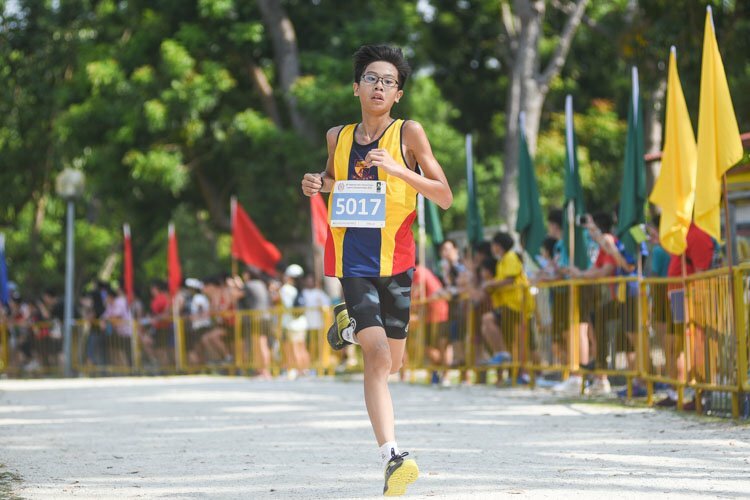 Usually seen as a playmaker, he can still be counted on to score when needed, as seen today,” said the Raffles captain, Raziq. 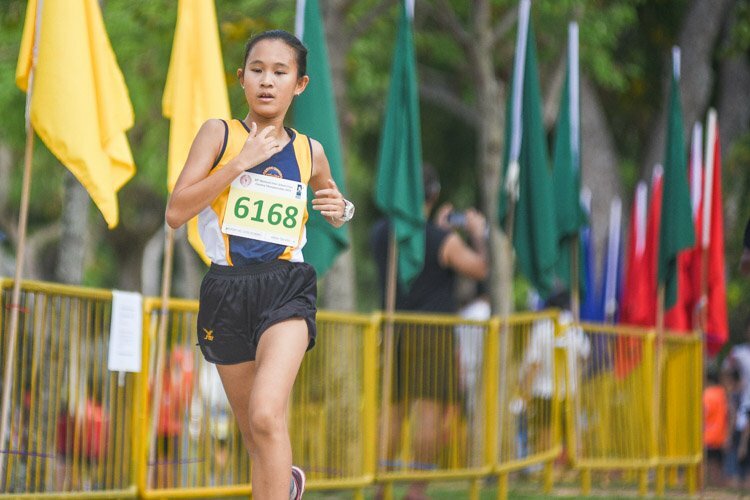 Raziq knows his team can do better. “We will definitely learn from our mistakes this game, improve ourselves, and come back stronger,” he promised.